Their Excellencies Asgierr & Allessandra invite one & all to come join them in Fun, Frivolity and Prizes; Come join us in the traditional final Celebration of the Holiday Season. 12th Night! we are finally back with a new domain name and the baronial emails restored. The new website still has the paint drying so if you encounter any issues report them to the webminister. 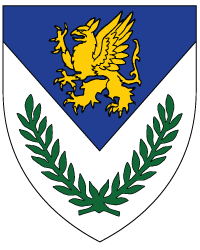 Barony of Gryphon's Lair is a branch of the Kingdom of Artemisia, which covers most of Utah, Idaho, Montana and Colorado. Our Barony's main activities occur primarily in and around Davis and Morgan Counties. Find out were we go and hang out and do activities. Despite the name fighter practice you may also participate in activities. All events we run in the barony for fun! Activities we do in the barony for fun it encompasses all the major activities we do for fun! The Althing, the oldest form of Parliamentary government. Find out and participate in the inner workings of how the barony works by coming to the Althing. Documents and downloads for all matters of subjects and business can be found here.